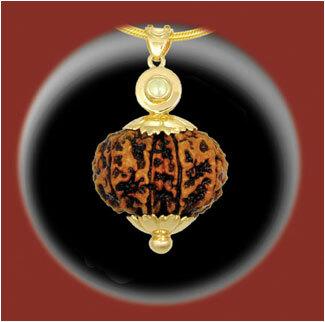 Price: $300 US Dollars, plus any applicable sales tax and shipping. 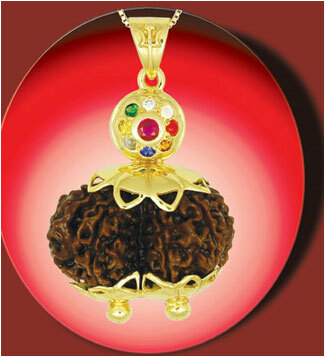 Two-Face Rudraksha, Natural Pearl, 21 karat yellow gold pendant. Please call (925) 754-8858 during business hours Pacific Time, or email: smquong@gmail.com to order. 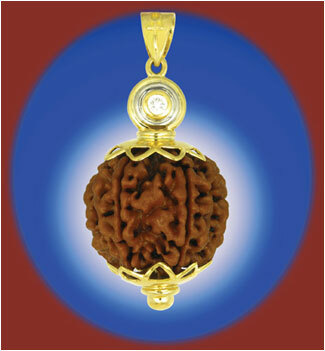 Five-Face Rudraksha, Yellow Sapphire, 21 karat yellow gold pendant. 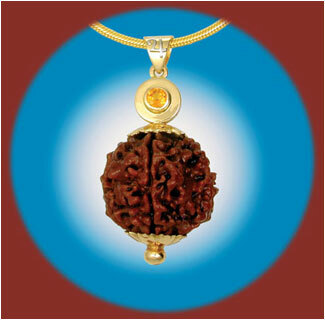 Five-Face Rudraksha, 4mm Natural Yellow Sapphire, set in 21 karat yellow gold pendant. 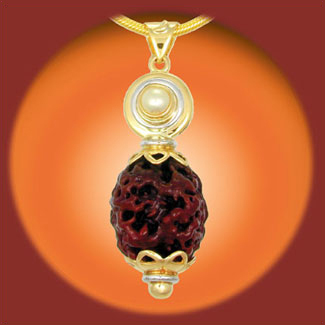 Price: $988 US Dollars, plus any applicable sales tax and shipping. 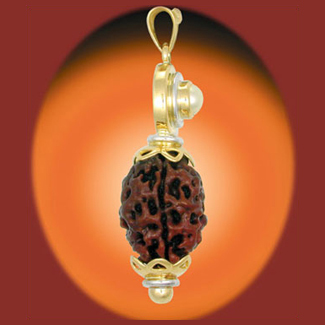 Gauri-Shankar Rudraksha, Navaratna (9 Gemstones) pendant.